1. Initial Consultation. I will gladly reserve time for a consultation with you. I will explain divorce and family law to you and how it applies to your case, respond to your questions, offer comments and suggestions, and recommend steps you can take to achieve your goals. This can be done in person or by telephone. 2. Initial Conference. This is similar to an initial consultation, except that you have already decided to retain us. In an initial conference, we get started on your divorce or family law case right away, saving you the cost of an initial consultation. 3. Separation Agreement. If you and your spouse have already reached an agreement about all the issues arising from your separation, we can put that agreement into legal terms for you. 4. Uncontested Divorce. If you have settled all issues arising from the breakdown of your marriage and all you want is a divorce, and nothing else, you are looking for an uncontested divorce. 5. Negotiation/Mediation. When you and your spouse want to try to resolve all the issues arising from your divorce in a manner that minimizes stress and costs, you should consider negotiation or mediation. Start by scheduling an initial consultation or initial conference. 6. Litigated Divorce. When you have been served with divorce papers, or your situation is one of high conflict, you need representation in court. Start by scheduling an initial consultation or initial conference. 7. Series of Consultations. 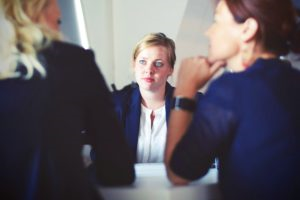 When you are doing it yourself but need some guidance along the way, this pay-as-you-go option may be what you need to make sure that you are handling your divorce correctly. 8. Representation While You Go Through Mediation. When you and your spouse are using mediation to resolve your divorce issues, and you need to know what your rights are, this option is for you. 9. Coaching>. If you are handling your own divorce, but need some help and guidance along the way, this option is for you. This option allows you more control over your divorce, and eliminates the necessity of paying a retainer. 10. Independent Legal Advice>. If you and your spouse have worked out an agreement, for instance at mediation, independent legal advice is normally necessary to ensure that your separation agreement is valid. 11. Marriage. If you are getting married, you should consider discussing with us whether a marriage contract would be beneficial for you. We can help negotiate and draft the marriage contract, as well as ancillary corporate documents such as shareholders agreements. 12. Asset Protection. In addition to a marriage contract, you should also consider wills, powers of attorney, trusts and other ways to protect your assets, or to ensure that assets you want to give to your children do not end up in the hands of their spouses. 13. Appeals. 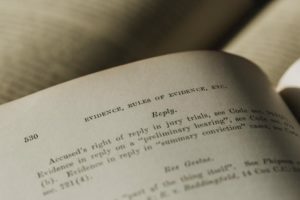 If you have lost a motion or a trial, it may make sense to appeal the decision. We can help you decide whether this makes sense, and handle your divorce or family law appeal for you. ….And More… If the service you need isn’t listed here, please contact us and we’ll do everything we can to help you.